World Makerfaire New York, 2014, Here We Come! Its now been a year since the Scan-A-Rama Kickstarter campaign completed. A huge thanks to all of you who made it possible! For those of you who have yet to come see the Luna Park installation at the Coney Island Museum, or who need to be scanned for your rewards (you know who you are! ), please come visit us at World Makerfaire New York next weekend, September 20 and 21. I will also be giving a presentation on the project in the Hall of Science’s large amphitheater on Saturday Sept. 20 at 5:30pm. Its been a while since I’ve updated you- I left my job of 17 years in May and am trying to pursue a career of 3D scanning and printing, so this summer has been busy! 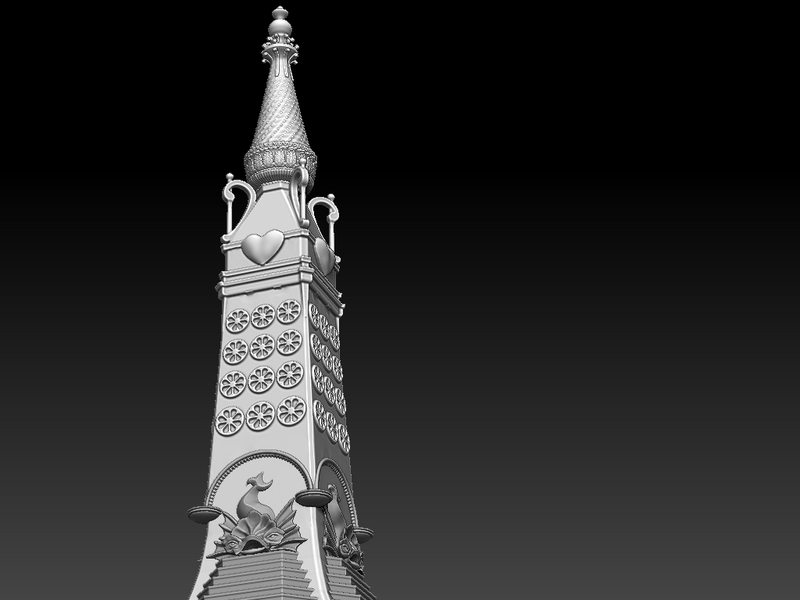 I have barely had any time to focus on the Luna Park model and am trying to get back into that. The main tower that is currently on view in Coney Island is too small and needs to be created at about seven feet tall! So I’m slowly working on it, trying to do it justice. 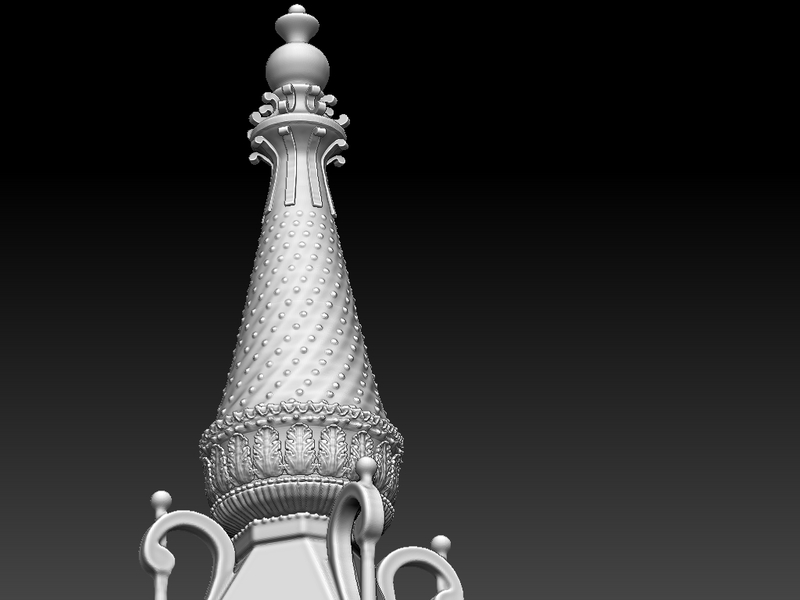 Last night I made some good progress on the tip top of the tower, which I’m going to share with you here. 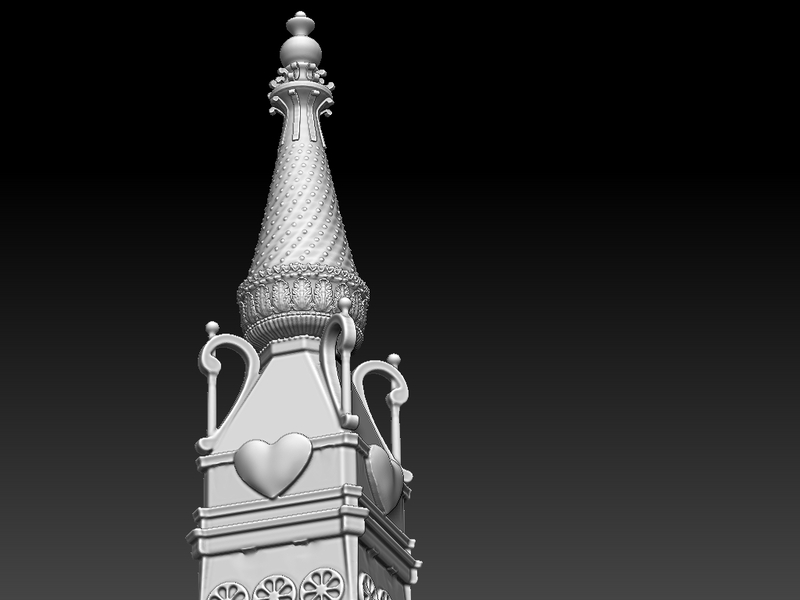 I had hoped to get this printed by Makerfaire, but at least I’m making progress! Okay, that’s it for this update, I hope to see you at Makerfaire next week! Last Night’s Efforta- a more ornate top! ← Young Love in Coney Island!